Take two cups of fresh rosemary leaves and add them to two pints of water. Boil for thirty minutes. 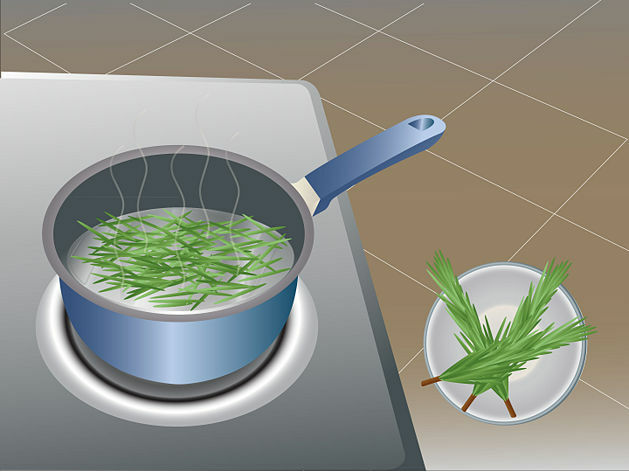 Strain the liquid, discard the leaves and mix it with up to a gallon of warm water. Pour this over your pet until saturated. Do not rinse off, but allow your pet to air dry. This is something to do on a hot day only. Also add 2 to 3 drops of the lemon mixture under your pet's collar to help keep fleas off.